Zack was fortunate to join a gym loaded with experienced bodybuilders. He watched, took advice, and learned fast. Now the foundation is set for his next move! I lived with my grandfather when I was very young. He was very big on the gym and had a small setup in his basement. I spent a lot of time with my brother and cousins, all of whom were older and stronger than me. Naturally, I wanted to be stronger so I could keep up with them one day. I played a lot of sports growing up, but didn't discover my love for lifting until I asked for a weight set as a 13-year-old. Lifting became a daily routine. I performed basic curls and shoulder presses every night. I saw results and got bigger. At the time, my main athletic focus was baseball, which I played through the spring, summer, and fall. I turned 15 the summer before my sophomore year and a friend brought me to the local YMCA for a workout. It was my first time in an actual gym and I was instantly hooked. 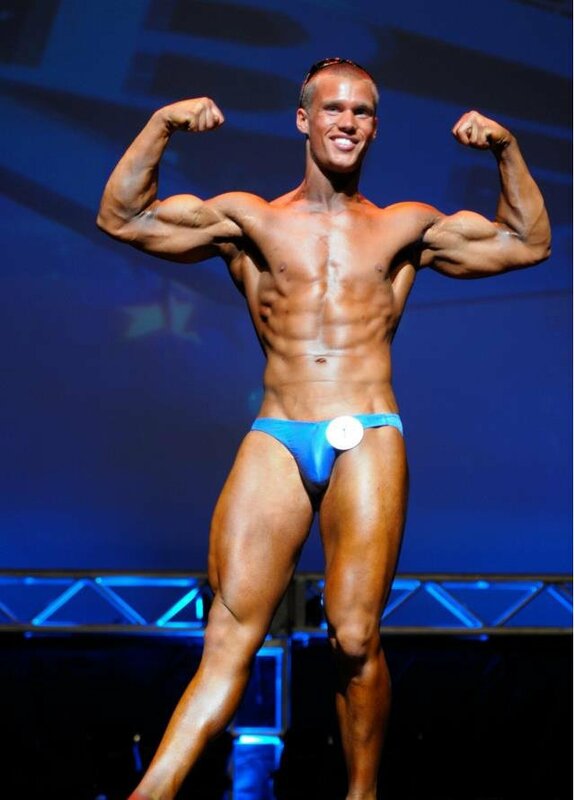 It became a fixture in my life and I decided to leave all other sports behind and shift my focus to bodybuilding. I was fortunate to meet some bodybuilding competitors when I first started at the gym and they got me started on my journey. My splits generally remain the same year round. However, my actual workouts vary greatly week-to-week, especially between pre-contest training and off-season. I usually prefer a rotating schedule (three days on, one day off) so every weekday changes. Lately, I've been on a simple four-day split (Sunday, Monday, Wednesday, and Friday). My workouts were about an hour long during pre-contest, followed by 30-90 minutes of cardio. In the days leading up to a contest, I add 30 minutes of fasted cardio in the morning. My pre-contest diet is very strict and is handled mostly by the trainers at my gym. In the off-season I eat very high protein and high carbs, spacing out my meals every two hours of so. However, I cut the carbs back for the last meal or two before bed. Which Supplements Gave You An Edge? My passion for fitness emerged by seeing if I had what it took to endure all the pain and dedication that go a long with the sport. The rewards are great when you see changes in your body and you feel great. Getting a compliment from a stranger can be very rewarding since it takes so much work to look a certain way. The connection you share with other bodybuilders and fitness competitors is one of a kind. They're the only ones who really know what it takes and they don't look at you funny for carrying coolers and plastic containers full of food everywhere. Fearing any kind of digression in my training is what mostly motivates me. Nothing bothers me more than not performing well, especially when I should've been better. This keeps me pushing forward and trying harder. I was fortunate to train around serious competitors when I was first starting out. Seeing their progress and dedication kept me inspired during my first years of training. Now I find inspiration in all the big guys at my gym, along with everyone else making progress. Also, Kai Greene's videos are great to watch, as well as Ronnie Coleman's. In my off-season, I focus on gaining as much mass as possible and returning to the stage in 2013. Ultimately, I'd like to work toward a pro card. I'm just going to take it one step at a time; bodybuilding will never leave my life. Stay dedicated and know that the end result is worth it. Be patient and never count out anyone's advice. Everything comes down to trial and error. Find what works for you and what you like to do. My favorite pro is Kai Greene. I enjoy listening to his insight on the sport, as well as watching him pose. I also like watching Zack Khan, Ronnie Coleman, Dorian Yates, and Branch Warren, and strongmen Mariusz Pudzianowski and Derek Poundstone. The wide variety of supplements in the store helps greatly, as well as other members on BodySpace and the forums. Everyone is willing to help and it's nice to get so many aspects on a subject from people all over the world. Thank You: To all my friends helping me inside and outside the gym, and to those who believe I can succeed in this sport.